The annual BEA Fall Craft and Gift Fair is set for 9 a.m. to 3 p.m. Nov. 25, and will feature something new this year. High school Spanish teacher and Spanish Club adviser Andrea Simpson said a food drive will also be held to collect donations for food banks located within the Bald Eagle Area School District. It’s an extension to a food drive the school is hosting this week, Nov. 13-17, organized by Spanish Club students. There is no admission into the fair, but guests are encouraged to bring nonperishable food items. In return, five raffle tickets will be handed out to those who donate and are eligible to win prizes. In its 10th year, the fair will feature more than 100 vendors, concessions with the student government, drawings to win prizes, and more. Student government will also showcase dresses for the annual prom dress drive that aims to collect formal previously-worn dresses, and resell them at a discount to students who want to attend prom. 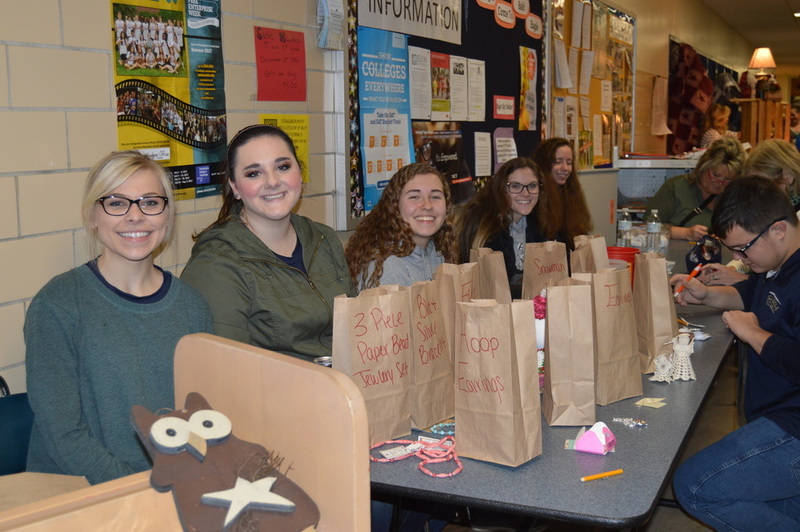 Students in FFA will also sell goatmilk soap, and BEA World Travelers will have a gift-wrapping station. The event will help support the Spanish Club and its proposed trip to Washington D.C. to visit the United States Holocaust Memorial Museum, and Six Flags America in Maryland.